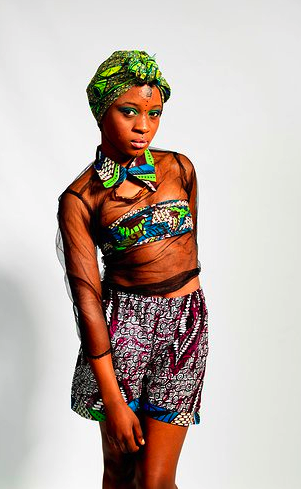 Mary Tataw is the 19 year old designer behind the label Mixed African Fashionable Couture (M.A.F. Couture). 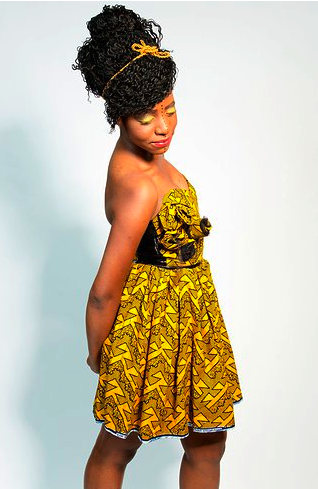 Of Cameroonian heritage, she now lives in the Netherlands. Quite ambitious for a young designer, this FW 2012 collection is already her 4th one. Mary took her inspiration for these designs from “the Autumn leaves and the color the leaves generate…”. My favorites are the yellow print dress and the short leather jacket, as they are the most polished items and would look interesting combined. I also like the styling in the two pics of her older collection: bright lipsticks, head wraps and John Lennon shades make for a very cool and different look.